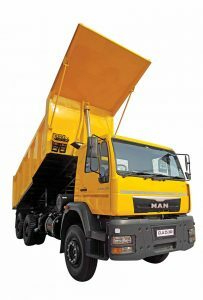 MAN Trucks India reviewing BSVI strategy? MAN Truck India is said to be reviewing its BSVI strategy. MAN Trucks India is said to postpone the launch of its heavy tipper. If the industry sources are to be believed, it is because the company wants to ensure that the product tops the segment it will enter. To ensure this, the company is said to be subjecting the vehicle to some more tests and validation cycles, which is taking time. The talk of the postponement of tipper launch comes at a time when the tipper market is growing thick and fast; is growing faster than the haulage market is, and springing surprises like ‘haulage tippers’ that are ironically considered as haulage trucks. 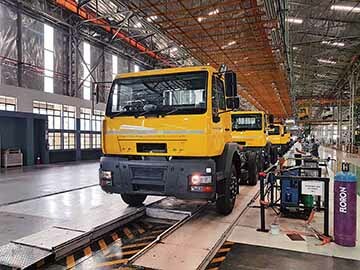 What adds a new dimension to the talk is the speculation that MAN Trucks India is winding its operations in India and has stopped production under the guise of maintenance. Vehemently striking down either speculation that the production has stopped, and that the company is winding its operations in India, the MAN Trucks India spokesperson mentioned the possibility of production being aligned to the seasonal change in market demand. He also mentioned that some of the projects have been paused for the need to review them in the wake of the changing market requirements. The company is also said to be reviewing BSVI strategy. The reason behind it could not be ascertained, however. Reiterated MAN spokesperson that the CV maker is committed to the Indian market and has no plans to exit. Entering India in 2006 with a joint venture with Force Motors, and with the establishment of a production facility at Pithampur entailing an investment of Rs.700 crores, MAN began manufacturing Cargo Line Asia (CLA) trucks in the 15-to 49-tonne GVW range. The initial production capacity was planned at 24,000 vehicles per annum, and stress was laid on localisation with Force Motors holding a 70 per cent stake in the joint venture. Providing the Chief Technical Officer (CTO) and three of the nine members of the board of directors, MAN increased its stake in the joint venture to 50 per cent in 2009 to expand activities in India and utilise the Pithampur plant, spread over an area of 3,43,000 sq. m., to export the CLA trucks to the growing markets of Asia and Africa. An early stress on localisation achieved by roping in suppliers to localise key aggregates like powertrain, chassis, axles and suspension added an edge to the export ambitions. With the plant carrying out a good deal of sub-assembly operations apart from precision machining of cast components, by 2009 the Indian operations were showing good signs of self-sustenance. The 2009 announcement to expand the Indian joint venture and export CLA range of trucks to the growing markets of Africa and Asia aligned with an announcement by MAN AG that it was acquiring Volkswagen Truck & Bus, Brazil. With good amount of localisation achieved, activities were undertaken to expand the network and market reach by the joint venture in the home market of India. In 2011, Volkswagen Group acquired a 56 per cent majority stake in MAN AG soon after it acquired a majority stake in Swedish CV maker Scania. Martin Winterkorn, the then chief executive of Volkswagen Group is known to have announced that the control of MAN would help it to seek synergies between MAN, Scania and Volkswagen. In late 2011, Force Motors announced that it is exiting the JV by selling 5.58 lakh shares for Euro 150 million to its German partner. With MAN in charge of the operations in India, changes were soon called for. The restricting element were the ongoing arrangements with the suppliers, which would go on for some more time before long reaching changes could be triggered. The focus on exports starting 2009 meant MAN Trucks India was exporting fully-built trucks, and CKD kits (‘Truck in Box’) to markets in Africa and Asia. Expanding the capacity of the Pithampur plant to 9000 units after hiking the stake in 2009, MAN Trucks has over time come to cater to 14 diverse export markets in Africa and Asia. Apart from selling 4500 units in the home market of India last year, MAN Trucks India exported 30 per cent of the trucks it produced to markets like Kenya, Nigeria, Morocco, Algeria, Egypt, Saudi Arabia, Uzbekistan, Thailand, Indonesia, Philippines, Malaysia, and South Africa. With South Africa ranking as the biggest export market of MAN Trucks India, the company announced late last year that it was looking at increasing exports by entering new markets. Upgrading the product range to comply with BSIV emission norms last year, the company in the second half of 2017 also announced the upgradation of its front-engine bus chassis portfolio. The extent of localisation of Indian operations reaching a level (82 per cent) where painted CLA cabins sourced from China are trimmed at the Pithampur plant, MAN Trucks India has turned into a formidable force. An indication of it was had last year when it announced that it was exploring the Indian market for launching factory-built CNG trucks since it is already exporting such trucks. Making a mark in special application truck segments like ODC and special application trucks (fire tenders, airport maintenance trucks, etc.) by leveraging the superior power to weight ratio, the CLA trucks have been unable to make inroads into the mass volume segments in India, which are only beginning to warm up to the value truck proposition now. The higher price points of the CLA trucks are said to be a prime deterrent in a market that continues to be highly price sensitive. The strong sales recorded by the Indian CV industry make it hard to believe the talk of MAN exiting India. It was in the news recently that Scania has shut down its bus operations in India. The truck operations of Scania are however continuing at a good pace in India. Considering the good times the CV industry is experiencing, it is simply unthinkable of a significant CV player like MAN exiting the scene.